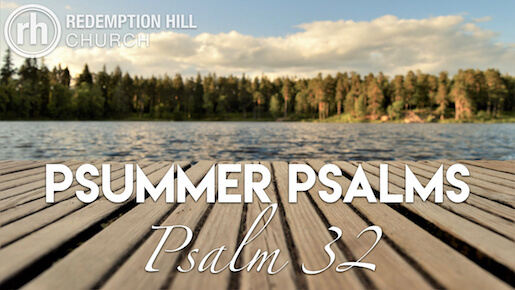 This Sunday, at all three services (9:00 at Holton Elementary, 10:00 at The Fourhundred, 11:00 at Holton Elementary), Rayshawn Graves will be continuing in our mini Psummer Psalms Pseries. His text will be Psalm 32. If you missed Psalm 31 last Sunday, you can listen to the message here.